I’ve had this on my wish list for a long, long time. I’m not sure about Coban, but I do like a good Scott Brick once in a great while – Brick could wring high suspense out of the dictionary. 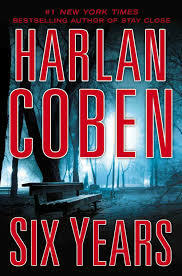 This book, perhaps all of Coban’s, deserves the honor. Anyway – our 1st person protagonist, Jake Fisher, discovers that his beloved girlfriend’s husband, the man she dumped him for, has died. He’s pined for her for six years. He goes to the funeral and doesn’t see Natalie. Instead there is a different Mrs. _______, now a widow. Fisher starts checking around and but only coming up with more and more questions. Where is his ex-girlfriend? Who was the groom and how did he die? Who is that woman claiming to be his widow? Trying to answer these questions leads to others and some unexpected violence as well. This isn’t a whodunit but rather a what-happened? Those are good too, sometimes, and I’ll likely read another Coban before too long.